I feel so loved! 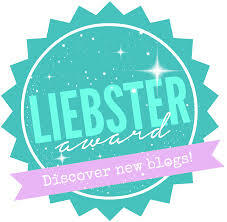 I know I just did a Liebster award post, but Ari just nominated me in this post. It’s funny because I really wanted to nominate her, but she has so many followers I was afraid 🙂 I am glad that I have the opportunity to write about her a little now. I enjoy Ari’s blog because she’s funny, down to earth, a good writer, and posts pretty pictures. I’m not going to do the whole thing again, because no one wants to read all that. I can’t believe I was nominated twice! Link to my first post here, and below will be my answers to Ari’s questions. I would love to have unlimited energy. There is so much I need to get done, and I always just want to sleep! What is your biggest fear. Are you planning on confronting this fear, if so how? My biggest fear is not having children and regretting it. I am trying to confront this now by doing a lot of soul searching. I don’t really think of myself as having a biggest accomplishment, is that bad? I try to live every day to the best of my ability. However, I would say that I’m most proud of finishing school, getting a good job, and sticking to a budget. A long term goal you want to achieve? One of my main goals is to pay off my student loans and be able to help other people more. What has blogging taught you so far? Blogging has taught me that there is a whole world out there that I didn’t even know about! If you thought the Facebook app was addicting and you haven’t tried WordPress, you are in for a shock. I could spend my entire life reading blogs. In a perfect world, everyone would have access to safe housing, food, and water. Share your favorite post so far. My favorite post of mine? Well, I just looked it up, and apparently the internet’s favorite post of mine is Why I Love Stitchfix. That’s bad news, as it just makes me want to get another Stitchfix box!! I like all of my posts, they are my babies! Probably my favorite is my 35 Goals to Meet Before I Turn 35. It is helping me stay on track with becoming the person I want to be. This question seems like it’s designed to get me in trouble. Isn’t whoever I don’t pick just going to be mad at me?! Ari, why are you trying to get me in trouble? I would pick my sister. She’s a trooper, she would probably build a house and a boat in about 30 minutes. She has been my best friend since the day she was born. Name one thing that makes you stand out from everyone else. (In business, we call this your unique selling point) What is yours? My perspective seems to be a little different than everyone else. Sometimes it just makes me look like a freak, but I think it also draws people in. Tell me about the best place you have ever visited. I answered a similar question last time and said Italy. I would also add New York City. NYC has the best energy of anywhere I’ve ever been. I literally want to pack up and move there every time I’m there. I just want to do everything and live up to it’s expectations! Typically J is telling me some version of “it’s time to get your a** out of bed!”. He pulls me out of my half asleep state, and then knowing that Riley’s little puppy face is waiting for me to take her out drags me the rest of the way out of bed. Awww I loved your answers! Thanks for having thought about nominating me. It means so much ❤ the question about the stranded island came from my fiancé. I asked him for a little help on these questions. Your fiancé is a troublemaker! 🙂 it was fun, and I’m glad you picked me! Glückwünsche!!! What a great list of questions. I think your best post are your Simplify Sundays. They’ve out ranked my Sunday paper in terms of what to read first. The Modcloth posts are a close second, but it’s getting hard to hide those beautiful boxes and look my partner in the eye and say “this old thing…” lol. I will be adding the blog of your nominees to my reading list- by the way I love 60while60 (http://60while60.wordpress.com/ ) from your previous recommendations- talk about inspiration. Awwww I am so glad you like my Simplify Sundays! I like them because they make me feel peaceful. I’m also glad you checked out 60while60. Yes, please 🙂 maybe I should have been more clear… I’m so glad you’re going to do it!